PT Bank OCBC NISP Tbk - OCBC NISP or referred to as Bank OCBC NISP (IDX:NISP) is the fourth oldest commercial bank in Indonesia. Originally registered as NV Nederlandsch Indische Spaar En Deposito Bank (NISP) in 1941. After several changes its name and status, the name of PT Bank OCBC NISP Tbk officially launched in 2008. PT Bank OCBC NISP Tbk is a local subsidiary company of Singapore-based OCBC Bank (OCBC Group), the leading financial services company in the South East Asia region. As of December 2017, OCBC Group through OCBC Overseas Investment Pte Ltd holds 85.08% shares in Bank OCBC NISP. Other 14.92% remaining shares in Bank OCBC NISP was owned by public shareholders. Bank OCBC NISP is based in Jakarta and its network coverage has 338 Offices and 6,477 employees spread across Indonesia. In term of financial positions, OCBC NISP posted positive financial performance in the full year of 2017 (FY2017. 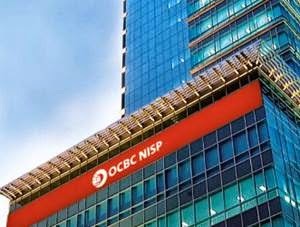 According to information found in Bank OCBC NISP's Annual Report 2017 as cited by JobsCDC.com, OCBC NISP registered total net income of Rp 2,175.82 billion in FY 2017. This total net income reflected an 21.56% increase as compared with total net income in the same period previous year (FY 2016) worth of Rp 1,789.90 billion. Total assets in 2017 grew by 11.27% from Rp 138,196.34 billion in FY 2016 tp Rp 153.773.95 billion. Fresh graduate, minimum S1 in any majors or already have work experience in the field of sales maximum 2 years. Have a high motivation and love work challenges. Deeply interesting in the field of sales. Fresh Graduate, minimum S1 from the Department of Computer Engineering, Information Systems, Computer Science, Informatics Management, Mathematics or majors related to Information Technology. Mastering at least one programming language and one data base system. Willing to be placed in Bandung. JobsCDC.com now available on android device. Download now on Google Play here. Please be aware of recruitment fraud. The entire stage of this selection process is free of charge. PT Bank OCBC NISP Tbk - Fresh Graduate Banking Academy Program OCBC NISP May 2018 will never ask for fees or upfront payments for any purposes during the recruitment process such as transportation and accommodation.